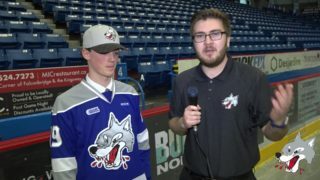 The Sudbury Wolves wish to congratulate first year Wolves forward, Blake Murray who has been selected to represent Canada at the World Under-17 Hockey Challenge in November! 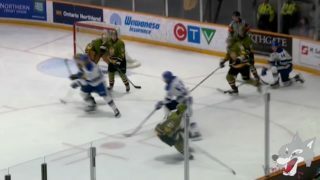 A total of 23 OHL players are included in the announcement and will be divided into three teams representing Team Canada Black, Team Canada Red, and Team Canada White when they compete against the Czech Republic, Finland, Russia, Sweden, and the United States in their quest for a gold medal. 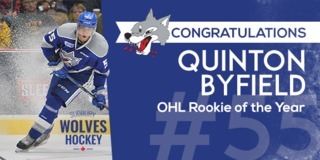 The 23 OHL players are included in an overall total of 54 CHL players named to the roster. 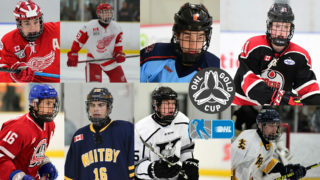 In July, 44 OHL prospects were among the 111 players invited to the week-long national under-17 development camp, marking the first step in Hockey Canada’s Program of Excellence. 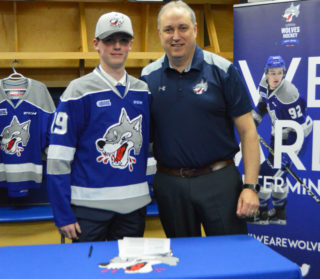 The players chosen to compete at the World Under-17 Hockey Challenge were selected by Brad McEwen (Whitewood, Sask. 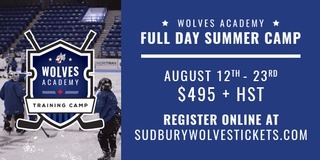 ), Hockey Canada’s head scout, in consultation with U17 POE management group lead Steve Staios (Hamilton Bulldogs), along with regional scouts Carl Bouchard (Quebec), Barclay Branch (Ontario), Barclay Parneta (West), Kevin Mitchell (Atlantic), and Darrell Woodley (Ontario).